How do you solve a problem like - The Knō App - Never. Lose. Contact. I’m pretty sure nobody likes to do mundane tasks. I sure don’t. And most people I’ve spoken to definitely dislike the effort to update and manage their contacts. Whether it is for work or friends, nobody wants to spend time updating or tracking down the latest address, email or phone number for someone. So how do you solve a problem like this? 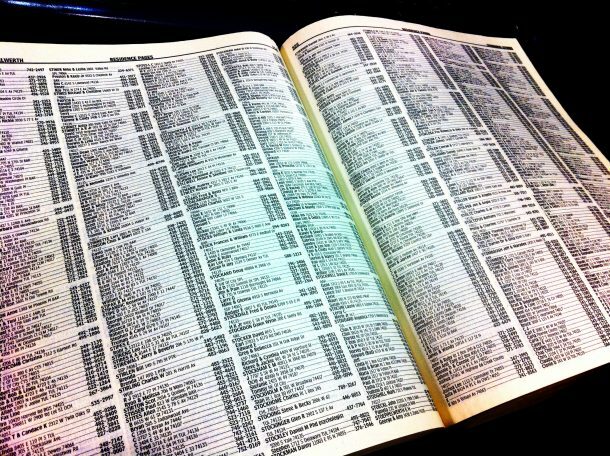 As a kid, I remember looking up people in the newly delivered phone book to see if they had gotten the right addresses. How else could anyone figure out how to reach you? For my dad, it involved scratching out the phone number or address of friends in one of those vintage flip directory books. When he ran out of room on that tab, he just refiled them under “Q” or “Z” because those pages were normally bare. But with modern technology and people moving far more frequently, keeping the data straight is no easy task. Paper phonebooks have gone the way of the dodo bird. You used to mail change of address cards for organizations to update your account. That has been replaced by you getting the privilege of logging into websites, one-by-one, to update your own records. Just hope you remember your account number and password! You can try to reach people via social networks and hope they get back to you in a timely manner. Or try to Google them, but unless they present at a conference or find themselves on TV, tracking them down isn’t easy. So perhaps we need to refine what the problem is. The Internet is supposed to make everything available at our fingertips. Someone just needs to help organize it. Google probably indexes millions of pages of content daily, but can you find what you need when needed? Social networks let us share content with the world, but are we reading all the content pushed out? Having moved so often, launching KnoRe:Me Inc. was a way to solve a problem that I faced. Losing contact with people who themselves moved or changed companies before we could exchange new credentials. And when I asked others how up to date their address books were, few thought more than 50 percent. We all realize that being able to reach someone easily would be awesome, if we could easily organize the info important to us. People like to have their pain points solved and we’re getting close to showing what we’ve come up with.